The final day of this amazing sale is today so don't forget to order! Also Flash Sale today with extra savings on a few select items! 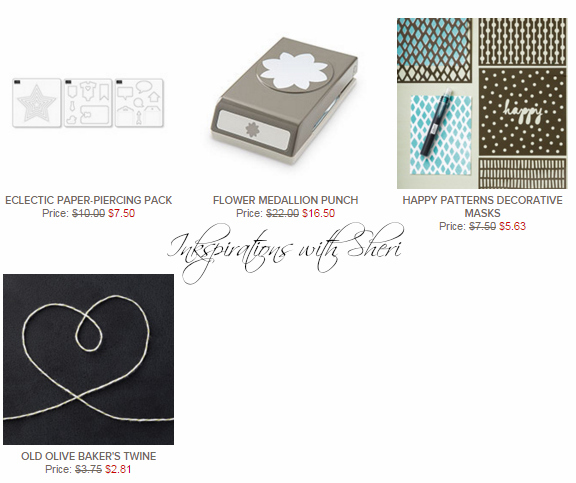 Did you see the Project Life Bundle door crasher special today? I was just taking a close look at it, and what a great all inclusive set! This would make a perfect holiday gift to that person interested in memory keeping! 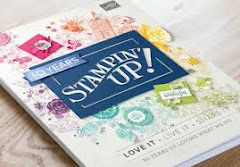 Great for beginners through to scrapbookers! Amazing deal! Check this out! Shop online and use the hostess code 92EPC3WA. If you would prefer to contact me direct, I will be placing an order today. 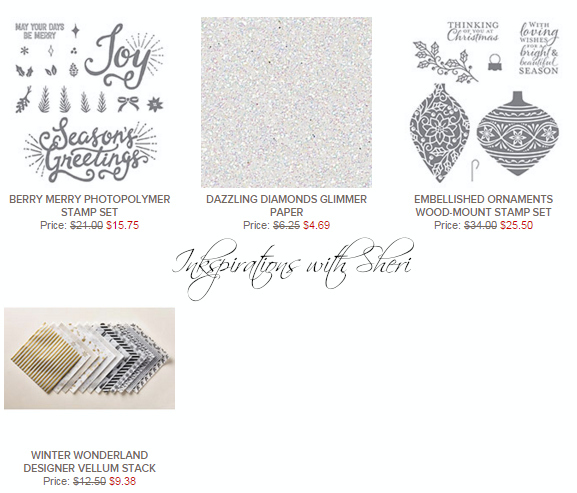 Weekly deals are here already and I know Christmas will be here before we know it! With that, I will have stock up on my favourite Dazzling Diamonds Glimmer Paper, as one can never have enough sparkle on hand! Here are a copy of recent designs that I have created using some of the above products! 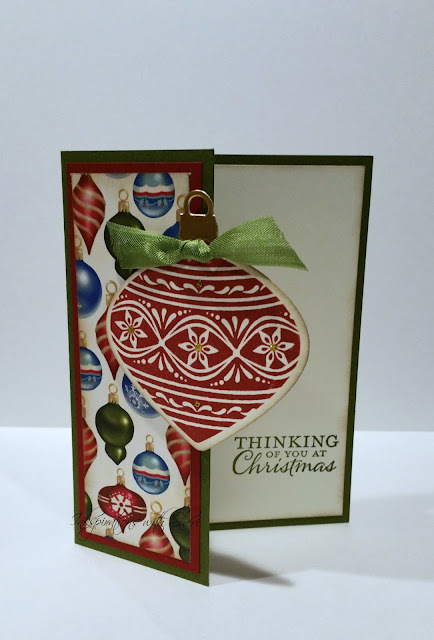 Love the embellished ornament stamp set! If you are shopping online, don't forget about the Online Extravaganza and Clearance Rack deals too! Lots of great sales right now! Shop now and use the Hostess Code 92EPC3WA. Oh dear! Warning as this is an amazing deal on some of favouritest products! November 23-30, you can save up to 50 percent on select products during our week-long Online Extravaganza! To make it even better, there will be flash sales that last 24 hours on November 23 and November 30, the first and last days of Online Extravaganza. But remember: Online Extravaganza savings are only available while supplies last, so get them while you can! If you would prefer to contact me direct, I will be placing an order on the 23rd, and numerous through out the sale. November 23-30 is going to be exciting, but only if you like sales. Everyone likes sales, especially when savings up to 50 percent are involved! Check back on November 20 for more details about our Online Extravaganza, including which select products will be discounted (while supplies last). For the first time, we have received a list of what is retiring from the current Holiday catalogue! Oh no! 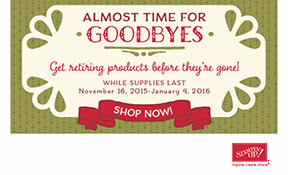 But don't fret, before we say goodbye to retiring products from the holiday catalogue there is still time to order your favourites! All retiring products will only be available until January 4, or while supplies last, though so let me know if you want to order before they're gone! Weekly deals are here and my mouth dropped open as it is new items in the holiday catalogue on sale!!! Yahoo! Lucky for me I just learned this past weekend that I still have not purchased the Snow Flurry Punch, so it's shopping today for me! 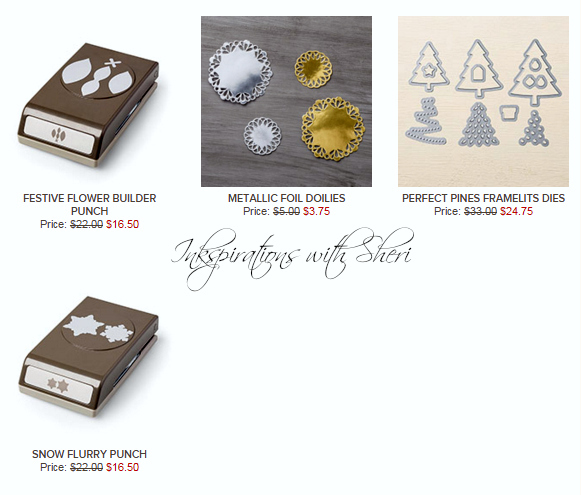 I might have to grab the Festive Flower punch too to complete (for the moment) my punch collection! I love the metallic foil doiles and can't wait to the design with the Perfect Pines Framelits...hmmm...might have to do that today! 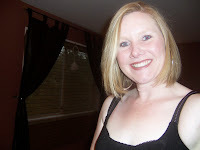 Let me know if you need anything added to my next order, or order online using the hostess code 76AREDHK. Weekly deals are here again. I have to ask, have you ever trying our piercing templates? I love piercing, and the templates make it so easy and fun to bring a different look to a piece of paper! Another fun tool to use is masks! I recently had a Brown Bag Bragbook class and we used the masks and oh what fun! You can change a plain piece of paper into something with colour, pattern or dimension using these fun tools! Also, my wonderful Wendy just spotted that the Flower Medallion is the punch that coordinates withe the Flurry of Wishes to punch out the large snowflake! What perfect timing for holiday crafting! 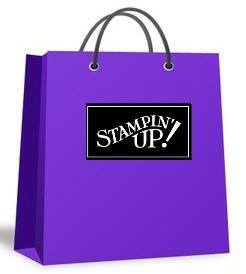 PS I wanted to give a shout out to all of you that have placed an order online in the past! Did you know that if you select No Contact, that I see the order but I do not know who placed the order? If you have selected No Contact, I just want you to know, I appreciate your business and thank you for that purchase! And to everyone else that has ordered from me, thank you again for the opportunity to assist you!